Not many cars I can say have come up consistently over the years in our hobby. Some get built, look flawless and become famous for the next 2 or 3 years after their completion only to fade off in to the limelight while others get sold or stripped for parts only to become the next “I’ll restore it someday”. Or worse yet they survive to become the next Honda kid’s obsession; groped and grabbed like Donald’s victims. But not this car, it’s one of those exceptions that keeps showing up time and again; getting better with time like wine. Cause a cars survival is dependent on 2 things; it’s owner and their dedication. And this owner’s dedication is a love affair. A love affair with a “Miztrezz”. Recently this car came up again and I decided reach out for a sit down. What I found out was not only revealing about the car but the man himself who owns it. This is the convo that ensued, short simple and uncut…. 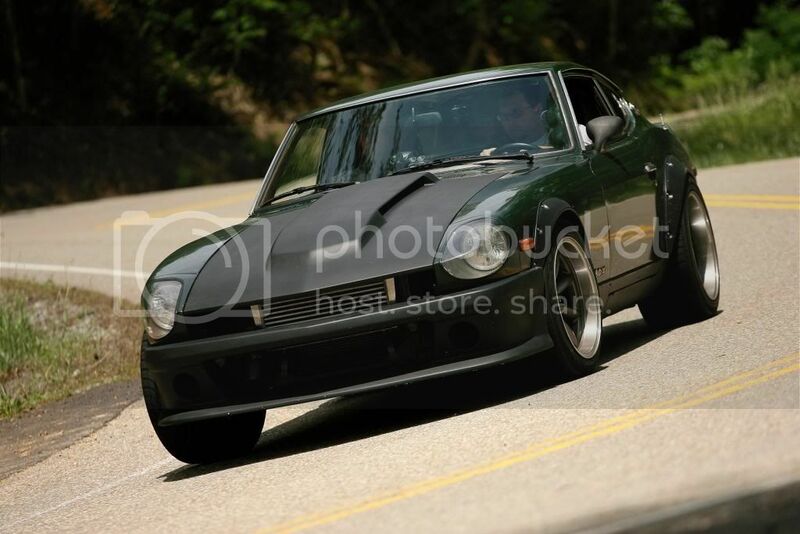 GW “So the story goes… I had a 280ZX I kinda restored… Got it painted and what not… it was my daily… I met the owner of the S30, Dennis, a couple of times; older gentleman. I always liked the car and told him if he ever wanted to get rid of it to let me know. 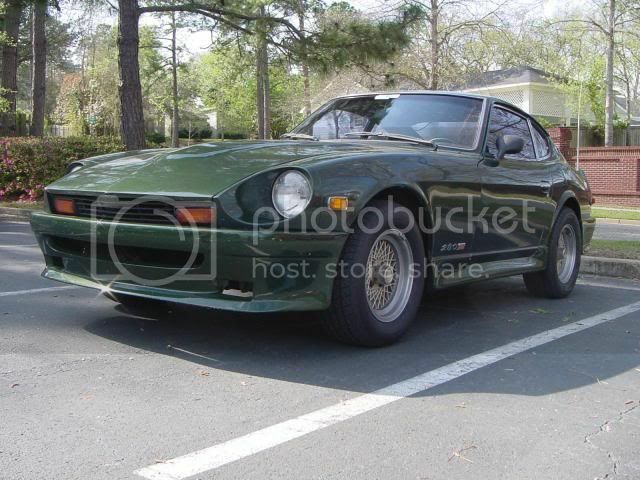 Well about a year later he said he was moving on to a Z32TT and the S30 was up for sale. He let me drive it around for a day and I just fell in love. I sold my S130 and used the money to get the S30. It had a MSA type 2 body kit and that was the first to go. I then put Tokico springs and Tokico blues struts on. It had a 3.0 liter stroker motor in it at the time and it was my daily driver. Dennis was and is still really good friends with the original owner of the car. We all meet up from time to time. Both are ole timers and really know their stuff! DGT “AC’s overrated. Windows DOWN! But yeah Southern Sates humidity is pretty fierce. You got a perfect set up though, trackable, dragable and streetable. That’s not an easy thing to do yet alone be successful doing it. How did you beef up the rear end? GW “I am running JE forged pistons, non turbo “A” cam, stock rods and crank, T3/T04E 50 trim turbo, 3″ turbo back exhaust., 460cc injectors, front mount Intercooler, Tial 38MM external waste gate, Champion Radiator. Brakes are Z31 rotors, Toyota S12-W 4 piston calipers up front; rear is Z31 rotors with 240SX calipers. Engine: Stock Bore L28ET, JE forged pistons with non turbo “A” cam with 460cc injectors, stock rods and crank, T3/T04E 50 trim turbo with Tial 38mm external waste gate, front mount intercooler and Champion Radiator. Trans: KA with 280ZX bell housing and custom drive shaft. Diff: Z31 LSD diff with 280ZX turbo axles with adapters for the CV’s. Tires: (Front) 245/40/R17, (Rear) 275/40/R17. Wheels: Rota RBR, (Front) 17×9 -13 offset, (Rear) 17×9.5 -19 offset. Suspension: Tokico Springs and Tokico Illumina Struts all around with Suspension Techniques sway bars. Chassis Mods: Homemade strut tower bars made from 2 1/4 inch pipes bent and welded together and bolted solid to the strut towers (Front), 1 inch bar bolted to the strut towers (Rear). Body: MSA Type 3 body kit with flares and Rare Datsun Competition Hood.